Serve with crusty bread for a simple supper, or serve as an accompaniment to an autumn pot roast as part of an extravagant dinner. Either way, Pumpkin Curry Bisque is just the thing to keep you warm all the way to your toes as winter approaches! Bring stock, potatoes, carrot, and onion to a boil in a large pot. 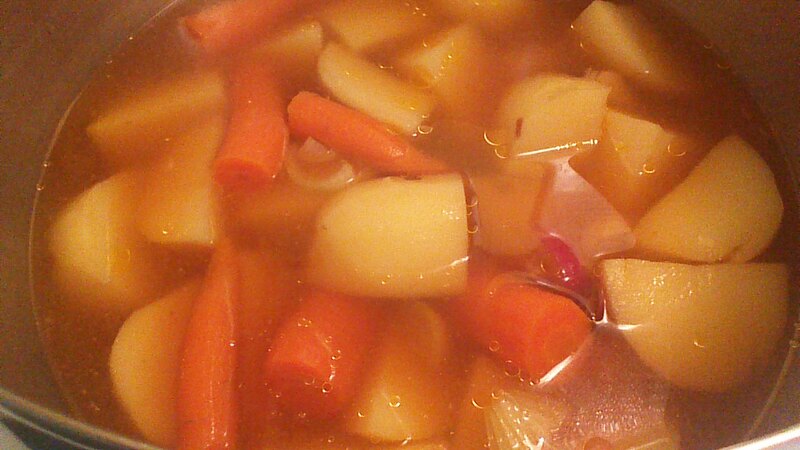 Reduce heat and simmer, covered, until potatoes and carrots are soft (about 20 minutes). 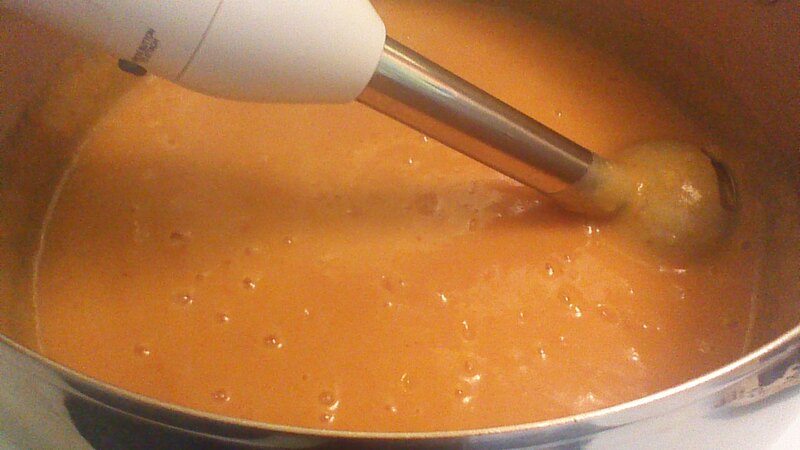 Remove from heat and puree with an immersion blender. Add pumpkin, coconut milk, curry powder, and salt. Puree again with an immersion blender. Sprinkle with roasted pumpkin seeds before serving. 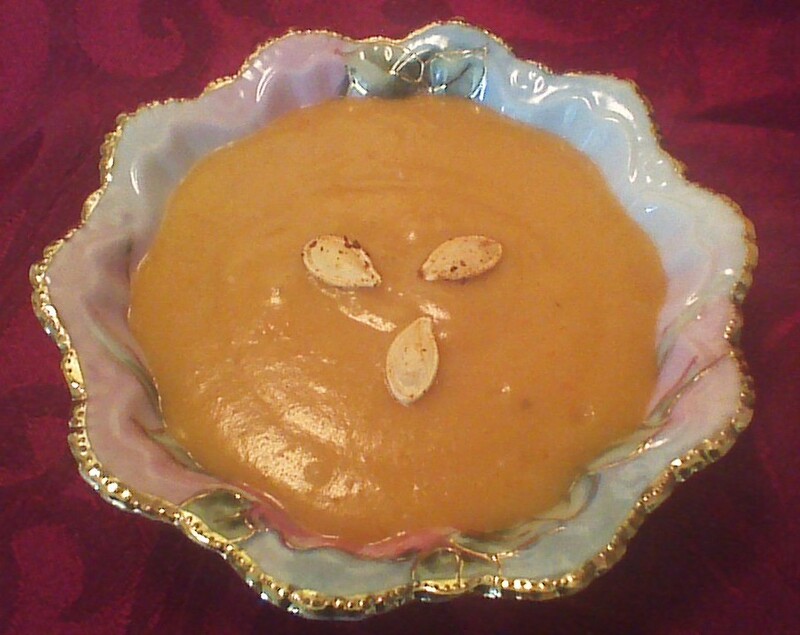 This entry was posted in Soups and Salads and tagged autumn, Cooking, Food, gluten-free, pumpkin, recipe, soup. Bookmark the permalink. I understand… I can’t get enough of it! I can never wait for this time of year because they come out with all of the pumpkin goodies. This sounds yummy especially since I love pumpkin!